Dr. Brown recently retired as Vice President & Chief Technologist for Delphi Automotive where he was inducted into the Delphi Innovation Hall of Fame. Dr. Brown’s accomplished career has included serving as the 2010 SAE International President. He is a member of the National Academies and they appointed him to serve as chair of the Board on Energy & Environmental Systems and chair of Committee on Fuel Consumption Reduction for Medium and Heavy Duty Vehicles. 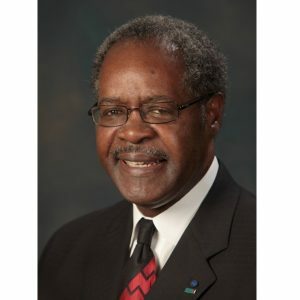 He has participated on the Cummins Science & Technology Council and currently serves on the Deere & Company Global Technology and Innovation Advisory Council (GTIAC). He has served as a member of the Scientific Advisory Committee of the Oak Ridge National Laboratory (ORNL) Energy and Environmental Sciences Directorate. After working for Honeywell for a couple of years, Dr. Brown began his General Motors career as a Project Engineer at Manufacturing Development in 1973. He has a Bachelor of Science Degree in Chemical Engineering from Wayne State University, a Master of Business Administration in Finance and Marketing from Wayne State, a Master of Science Degree in Mechanical Engineering focused on energy and environmental engineering from the University of Detroit-Mercy and earned a Doctorate of Engineering in September 1992 from Wayne State. He has taught at Wayne State, University of Michigan and Tsinghua University in China.